Tracey’s principals of honesty, integrity and respect for others are the three main ingredients to the quality of service she will give you. 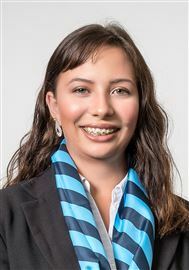 In harmony with these personal values and beliefs she is proud to be part of the Harcourts team, one of the premier real estate agencies in New Zealand. She has a wealth of knowledge and experience particularly as a skilled negotiator and her hardworking, honest and ethical approach to real estate combined with her attention to detail has led her to success in her field as Sales Manager in the Havelock North office while working with New Zealand’s top national and international Harcourts agents. Tracey is a highly motivated person who gains personal satisfaction from assisting her sales team to successfully achieve their real estate goals. Listening to their needs and putting in long hours to attend to their clients requirements are hallmarks of her success. 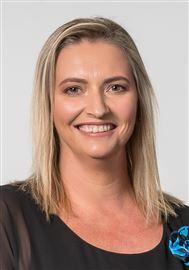 Her motto of good service and hard work is backed by her Sales Team who work with her to ensure our clients get nothing but the best when selling or buying with Harcourts. Growing up in Hastings & Havelock North, Heather knows the district well. She has built strong relationships and has a wide social and professional network. Heather brings extensive industry and marketing knowledge having worked in the real estate industry for 17 years, both in sales and management. Heather started her successful selling career in Auckland before moving to ‘The Bay’ in 2006 therefore has seen the many ups and downs of the market. Heather is all about working for her clients and helping them reach their goal and is committed to providing them with the highest level of service. Amongst Heather’s strengths are an ability to listen and understand her client's needs, Heather prides herself on always displaying a professional attitude. Heather is a great negotiator and problem solver and firmly believes that paramount to the success of any transaction are three key ingredients: Integrity, Trust and Honesty. John started in Real Estate sales and marketing in 2001 and has extensive industry experience. That experience combined with integrity, respect and passion has made him a trusted real estate professional. John is driven to achieve excellent customer service and outcomes for his clients. By listening to his client’s needs and wants John helps them with their next real estate move. Many of his clients come back to him or are referred to him by others because of the outstanding and honest service John provides. Buying and selling a property can be stressful but John but will work with you to make the process as stress free as possible and will be with you all the way through the process. From large homes to small call John today for a no obligation market appraisal on your home or to view any of our Harcourts properties for sale. Justine is excited to re-join the Harcourts team in Havelock North. Justine is a great communicator, organiser, has a fantastic eye for detail and will guide you through the entire process of listing and selling your property with ease. She prides herself in constantly exceeding expectations of what is normally offered or expected of a real estate consultant. When the time is right and you’re ready to move on, call Justine for her prompt, efficient services. Her passion for people and animals makes her an approachable agent to welcome into your home. Justine has twin daughters at Havelock Intermediate and two gorgeous, over friendly labradoodles. You may see her out walking the peak or delivering her flyers in your street with her girls and dogs by her side, feel free to say hi. “When you choose a job you love, you never have to work a day in your life”. Kate began her career in the real estate industry as an Office Administrator and Personal Assistant to established salespeople. Moving into the area of sales was a natural progression for Kate and her friendly, professional approach has led to great success for clients and herself. As a lifetime local, Kate's extensive knowledge of the area is invaluable to her clients, especially those new to the Hawke's Bay. Kate's reputation for integrity, attention to detail and communication ensures her a high percentage of repeat referral business. After a successful career in Administration and Accounting and running her own small business for 6 years – importing Spanish sandals and handbags, Narelle has now turned her sights to real estate in Hawke’s Bay. Hawke’s Bay has been Narelle’s family base for more than 4 generations and she has always had a passion for property. Having been involved in home ownership and investment for the past 20 years, Narelle understands the important decisions you need to make when it comes to your assets. She prides herself on building long term relationships, a definite ‘people person’ and has a professional work ethic that is targeted at reaching the best outcome for her clients. “Having worked in the Havelock/Hastings area for the past 15 years, I am excited to bring Harcourts Hawke’s Bay my passion for real estate.” With her attention to detail and the ability to think outside the square, Narelle is keen to bring a fresh face to residential real estate in our area. Whether you are looking to buy, sell or increase your property investment portfolio, Narelle will go the extra mile to ensure your expectations are exceeded. 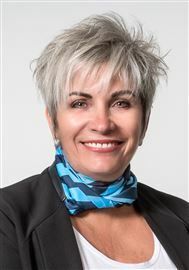 Anne's career with Harcourts started in 1995 firstly as a Personal Assistant to one of their top salespeople, then as Office Administrator. In 1998 she joined the sales team and worked out of the Havelock North office for 9 years. Wanting a change in lifestyle and to spend more time with her grand-daughters she decided the time had come to take a break from selling. As luck would have it, a job share position as Office Administrator became available in Havelock North - the perfect solution! 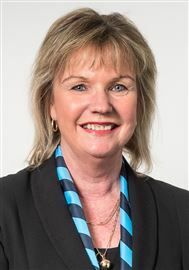 With her extensive background in sales and close relationship with the Harcourts brand and team, Anne has remained a valued member of the Harcourts group and also has her perfect lifestyle! Unique Opportunity - Be Quick! A Rare Find with Potential! 'Rose Cottage' Is Up For Sale! Don't Pass This - Buy!! Owner Ready To Downsize !